SSC JE Exam Pattern and Selection Procedure: Staff Selection Commission SSC is one of the most famous government departments in India. And they always notified new recruitment at many levels such as SSC CGL, CHSL and so on. SSC is known as Karmchari Chayan Aayog in Hindi. It’s hold full responsibility of candidates to liberate jobs for the various government department and subordinate offices. At this time SSC has notified new Recruitment JE (Junior Engineer) Recruitment for the Various Post. So if you are Eligible to Apply SSC Junior Engineer Online Application Form then you must Apply. 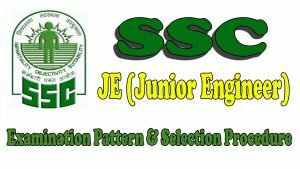 Here we Share Information about SSC JE Exam Pattern and Selection Procedure. With these Information you can Easily prepare for the SSC JE Examination. So Read the all information very carefully. SSC JE Examination will divided into two parts. The examination will be organized based on the latest pattern decided by Staff Selection Commission. The First Pages will be of 200 Marks where as Second Paper will Carry 300 Marks. And the total 1/4th marks will be deducted for each wrong Answer. According to the SSC JE Exam Pattern by Staff Selection Commission, the appearing applicants for the post of JE (Civil), JE (Quantity Serveying & Contract) should attempt Part A of Paper I & II. On the other hand appearing aspirants for JE (Electrical) need to attempt Part B (Electrical) and the candidates appearing for the JE (mechanical) have to attempt Part C (Mechanical) of Paper I & II. There will be two stages for the selection of candidates. 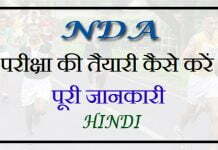 The Candidates must have to obtained passing marks on the I Paper for being selected in SSC JE II Examination. Computer Based Test (CBT) will be organized for Paper I. 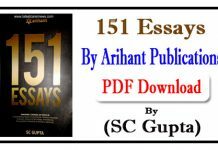 The Paper- I of SSC JE will be of Objective Types Questions. The First Paper Containing Question on General Intelligence and Reasoning, General Awarenss with 200 Marks. The First Paper will be conducted from December 03 to 05, 2017. The Second Paper will carry Total 300 Marks. The Final Assortment of application will be confirmed on the basis of Obtained Marks by the aspirants in Both Paper- I and Paper- II. Like our Facebook Page for Latest Updates. Good day! I could have sworn I’ve visited this blog before but after browsing through a few of the posts I realized it’s new to me.